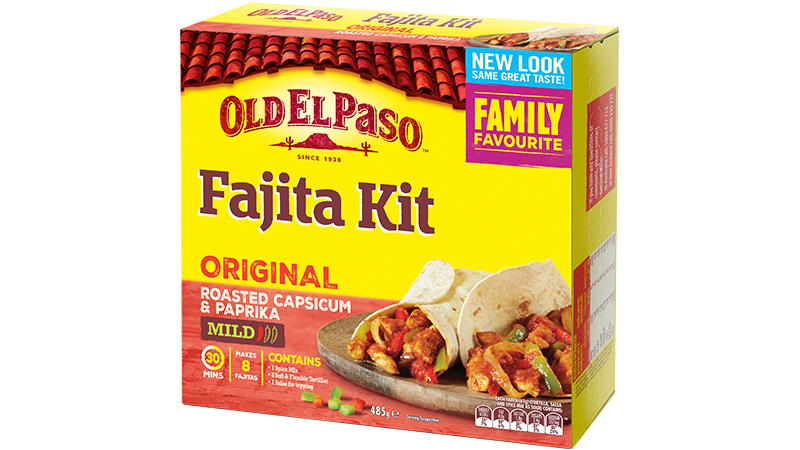 This recipe uses our Old El Paso™ Fajita Kit and lamb to create a flavoursome meal for 4. Create your own roasted zucchini salsa and combine it with caramelised corn and an oregano citrus lettuce salad for something everyone will love! Preheat BBQ or grill pan. Mix Fajita Seasoning with oil and toss lamb steaks until well coated. Cook lamb for 3-4 minutes each side or until cooked to your liking. Set aside to rest and slice when ready to serve. Brush the zucchini with oil, place on the open grill cut side down with unpeeled garlic cloves, and cook turning once, until tender and slightly blackened. Place, zucchini, peeled garlic remaining oil and all other salsa ingredients in a food processor and process until smooth. Pour into a serving dish and set aside. To make caramalised corn: Heat a heavy bottomed pan over high heat. Add all caramalised corn ingredients; cook for 2-3 minutes without stirring until charred. Stir and let mixture char a further 2-3 minutes. Remove from heat and season with salt and pepper. Combine oregano, lime juice, salt and sugar and pour over lettuce as you serve. 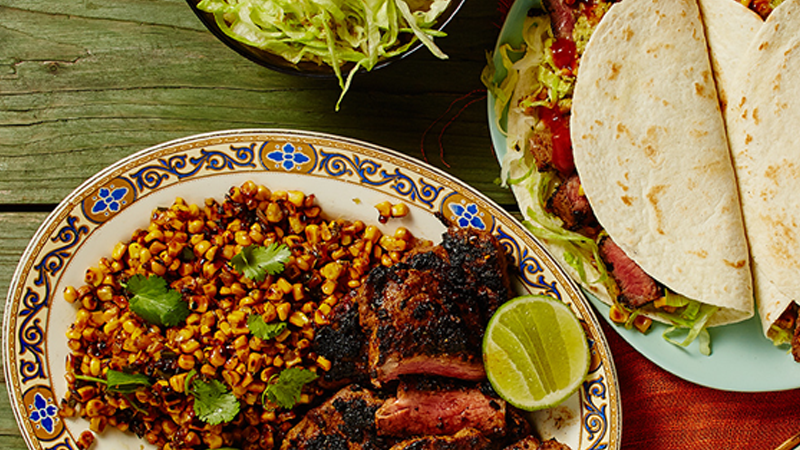 Serve warm tortillas topped with lettuce salad, lamb, caramalised corn, zucchini salsa and a squeeze of lime.